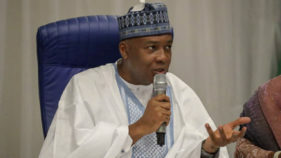 Senate President, Bukola Saraki, has stated that he will not yield to calls for him to leave his position.He said this while addressing a press conference at the National Assembly on Wednesday. Since he announced his defection from the APC, the ruling party has been calling on Saraki to leave the post since his new party, PDP, does not have a majority in the Senate. Reacting to this, Saraki insisted he will remain in his position so long he enjoys the support of his colleagues, who elected him.“I will not give in (to pressure). I will not. I was elected by members,” he responded to a question on calls for his removal. Saraki said he was not desperate for power, and will not cling to the position should he lose the confidence of his people. Saraki said if two-third of senators pass a vote of no confidence on him, he would bow out. He urged Nigerians not to be under any illusion that he was a power monger as being peddled by his critics.This is the kind of reaction expected of Saraki. Nobody should expect Saraki to easily relinquish his position as Senate president, considering the means and circumstances through which he got it without the support of APC leadership and the Presidency. Saraki knows that APC is finding it difficult to get two-third majority of senators to remove him from office. But Saraki should be mindful that his removal is not impossible, considering that politicians cannot be trusted, especially as 2019 elections draw near. It is not out of place that those that are after Saraki’s position could adopt unconstitutional means to achieve result, even if it is for a short while. On Saraki’s claim that he is not desperate for power. That is hard to believe. Saraki, just like any other Nigerian politician is desperate for power because without power, you are not relevant as a politician. So, Nigerians know that Saraki, alongside his colleagues in politics are power mongers and not patriotic leaders. Is Saraki saying that the gale of defections in the National Assembly is in the interests and wellbeing of ordinary Nigerians? It is not. It is about their 2019 ambitions and return tickets. Simple. 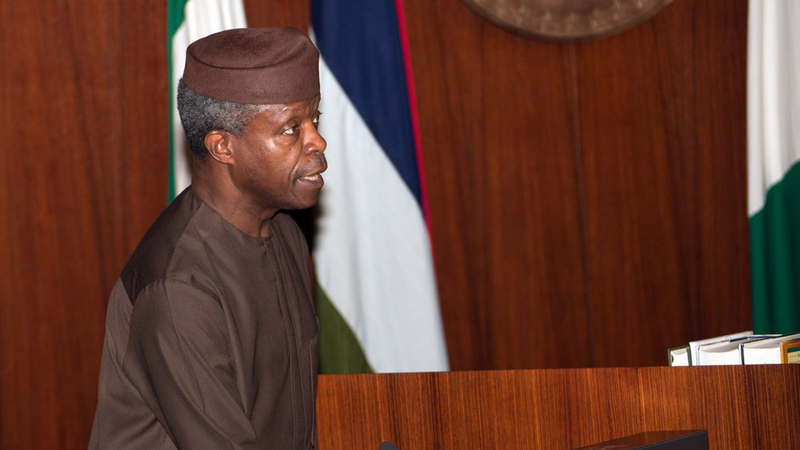 Acting President Yemi Osinbajo on Tuesday, said the blockade of the National Assembly gates by operatives of the Department of State Security (DSS) was unauthorised.He also described the action as a gross violation of constitutional order and rule of law.According to him, the unlawful act, which was done without the knowledge of the Presidency is condemnable and completely unacceptable.A statement issued by Laolu Akande, senior special assistant to the President on media and publicity, Office of the Acting President, said the action of the DSS was not authorised by the Presidency. Osinbajo assured Nigerians that all persons within the law enforcement apparatus who participated in this travesty would be identified and subjected to appropriate disciplinary action. Osinbajo, it is difficult for ordinary Nigerian to authoritatively confirm whether the DSS blockade of the National Assembly Complex was authorised by the Presidency or not. It is only you (Osinbajo) and Daura that can do so. But with Daura’s sack and his purported arrest, how can he state his own side of the story. Or, are you saying that President Buhari, while in London gave Daura order to lay siege to the National Assembly without your knowledge or approval? It is a possibility, considering that security agencies under President Buhari’s government have been working at cross- purposes. But why should DSS activities get authorisation of the Presidency, when in other climes, undercover operatives may carry out action and brief the government later, provided national security is the issue. Well, whatever is the case, Daura’s sack is good, expected and long overdue. DSS under his watch have not only overstepped their bounds, they have overtly worked against the interest of Buhari government in all ramifications. DSS activities have been huge embarrassment to the government of President Buhari, making Nigerians wonder if there are two governments. Daura’s sack will calm frayed nerves for now and hopefully, restore dignity to the security agency and government. Ex-governor of Akwa Ibom, Senator Godswill Akpabio, has resigned his position as the Minority Leader of the 8th Senate. 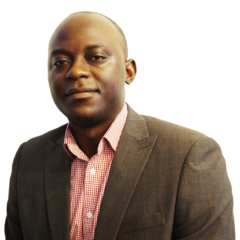 Mr. Jackson Udom, his media aide said his resignation letter was dated August 4. It was addressed to the Deputy Minority Leader, Senator Emmanuel Bwacha.“Senator Akpabio thanked the Senate leadership, the minority leadership, all distinguished Senators, his party the Peoples Democratic Party (PDP) for the opportunity to lead the PDP Caucus in the last three years. Akpabio’s defection came to PDP members and many Nigerians like a bolt from the blues. Nobody expected it so soon, but that is politics and Nigerian politicians for you. It is a game of permanent interests, no permanent enemies. Whatever informed Akpabio’s defection is not necessary at this point, especially when it cannot change the decision. Akpabio’s exit is a big minus for the PDP, especially in the Southsouth, a PDP stronghold for now. Maybe that is the reason PDP has remained mute over his defection. Akpabio’s resignation of his position as minority leader is the most honourable thing expected of him, because he cannot have his cake and eat it. If APC wants to make him majority leader, so be it. For APC leadership, it is hoped Akpabio will be an asset to the party, not a liability. This is because of the frosty relationship between him and APC leaders in his state, while serving as governor. The impact of Akpabio’s defection to APC can only be measured after 2019 elections. 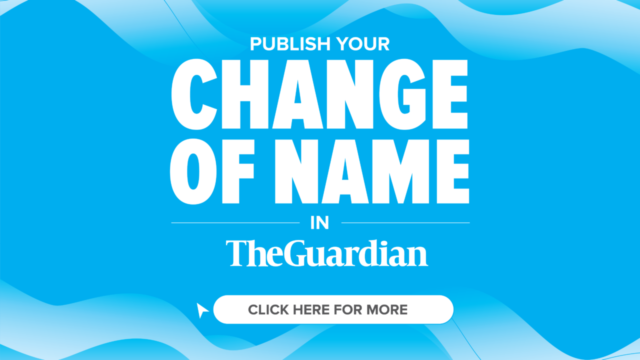 Barely three months after the fusion of Coalition of Nigerian Movement (CNM) and African Democratic Congress (ADC), a faction pulled out on Tuesday, announcing itself as New African Democratic Congress (N-ADC).Protem National Chairman of the group, Precious Elekima, made the announcement in Abuja. The CNM, founded by former President Olusegun Obasanjo, had in May adopted ADC as its political party. 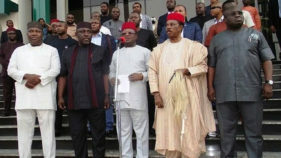 In July, the ADC joined 36 other opposition parties and Reformed All Progressive Congress (R-APC) and the Peoples Democratic Party (PDP) to form an alliance called Coalition of United Political Parties (CUPP). The parties signed a Memorandum of Understanding (MoU) to contest the 2019 general elections under one platform. Elekima said the N-ADC withdrew from ADC because it did not want to be part of CUPP, explaining that ADC leadership joined the alliance without consulting stakeholders.He said the formation of the group was to keep alive the mission of ADC to free Nigeria from backwardness, which the party (ADC) wanted to truncate by joining the coalition. Nigerian politicians are full of intrigues. This is why they have not been able to provide the expected and needed leadership for the country. Instead of being preoccupied with how to provide good governance, they are more interested in politics. Where are the members of this N-ADC when the Memorandum of Understanding was signed? Why the sudden decision to pull out and whose script are they acting? It would be recalled that after the coalition signed its memorandum Weekly Political Notes warned that some of the political parties involved will pull out at the eleventh hour for selfish interests of their promoters. Now if care is not taken, the whole coalition arrangement could collapse before 2019 polls. After all, there is no law binding the parties together. Leaders of these fringe political parties know this and will capitalise on this to scuttle the arrangement whenever they want. So, PDP needs to be very cautious and wary of these fringe parties as they plan for 2019 elections. The Presidency on Wednesday, said there was unanimity in the Presidency over the sack of the Director General of the Department of State Service (DSS) Lawal Daura, by Acting President, Yemi Osinbajo, following the invasion of the National Assembly by the operatives of the DSS. The invasion, according the acting President was done without approval. Briefing State House Correspondents after the Federal Executive Council (FEC) meeting, Presidential Spokesperson, Femi Adesina said the,” Presidency is one” and that the Acting President has all the powers of a President. Nigerians don’t care whether there was power tussle between Buhari and Osinbajo over Daura’s sack, what is important is that Daura has been sacked. Daura deserved the sack because of his excesses that have become Nigeria’s albatross.It is hoped that President Buhari will not come back and reinstate him like was done for Maina and others. Nigerians know that if there was power tussle between President Buhari and his Vice, over Daura’s sack, Presidential Spokesman will not publicise it unless he wants to lose his job. So, why tell Nigerians that there was no power tussle between Buhari and Osinbajo over the sack, when nobody asked for such? Well, the Spokesman is doing his job. Don’t blame Adesina, especially as the social media has been buzzing with all tales about Daura’s sack. Justice David Oladimeji of the Osun State High Court sitting in Osogbo Wednesday, dismissed a suit challenging the eligibility of Senator Ademola Adeleke as the candidate of the Peoples Democratic Party in the September 22nd governorship election in the state.The plaintiffs, Rasheed Olabayo and Oluwaseun Idowu, who are members of PDP in Osun had approached the court to disqualify Senator Adeleke on the allegation that he did not possess certificate and urged the court to restrain PDP from presenting him to the Independent National Electoral Commission (INEC) as candidate of the party. 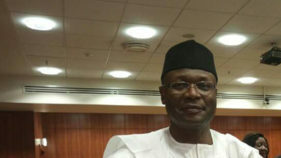 In his ruling, Justice Oladimeji held that the claims of the plaintiffs that Adeleke does not possess school certificate cannot disqualify him from contesting the election, because the Constitution does not state that a candidate for the office of the governor must possess a Secondary School certificate.Justice Oladimeji said the Constitution only stipulated that the candidate must be educated up to Secondary School level and that the plaintiff also admitted that the Senator attended Ede Grammar School. Hmmm, this judgment will provide temporary relief for PDP and its candidate, the dancing senator Adeleke for now, because Adeleke’s traducers may appeal the judgment. But where were these traducers when Adeleke became a senator without Secondary School certificate? Why are they after Adeleke now that he emerged the PDP governorship candidate? But wait, deducing from the judgment, does it mean that Adeleke attended Secondary School, but could not obtain school certificate? Why? Does it mean he didn’t complete the programme or he obtained a school certificate with poor grades? The most important thing is that it has been established that Adeleke attended Secondary School, whatever was his grade in his school certificate is immaterial for now unless higher courts prove otherwise. Adeleke over to you, at least you can go ahead to campaign now and entertain your supporters with your unique dancing styles.